George, son of Frederick Louis, Prince of Wales, and grandson of George II, was born in London in 1738. George was not very intelligent and could not read until he was eleven. However, his tutors praised him for the amount of effort he was willing to put into solving his academic problems. George was only twelve when his father died and his mother's friend, the Earl of Bute, became an important influence on his future development. 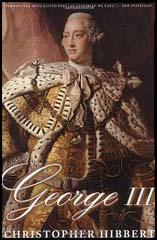 In 1760 George succeeded his grandfather, George II, as king. The previous year George had fallen in love with Sarah Lennox, a descendent of Charles II, but the Earl of Bute persuaded him to bring the relationship to and end and instead arranged for him to marry the German princess, Charlotte of Mecklenberg-Strelitz. During their marriage Queen Charlotte gave birth to fifteen children. A year after becoming king, George III arranged for the Earl of Bute to become prime minister. This decision upset a large number of MPs who considered Bute to be incompetent. North's leading critic in the House of Commons was John Wilkes. In the newspaper that he established, The New Briton, Wilkes accused the king and his ministers of lying. Wilkes became a symbol of free speech and the king was blamed when he was imprisoned for 22 months for libel. Although Bute only stayed in office for a year, he remained an important influence on George's political opinions. Over the next four years the king appointed four different prime ministers, George Grenville, Marquis of Rockingham, Earl of Chatham and the Duke of Grafton. In 1770, George appointed Lord North as prime minster. The king had at last found a man who whom he liked and trusted and Lord North stayed in office for ten years. 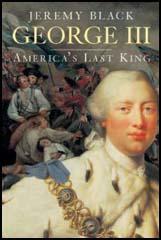 George III supported Lord North's policies that resulted in the American War of Independence (1775-1783). Some MPs, led by Charles Fox and William Pitt criticised the conflict as an "unjust war" and urged Lord North's government to bring it to an end. Fox and Pitt were also critical of the way that George III tried to influence and manipulate those in Parliament. They argued that parliamentary reform was necessary for the preservation of liberty. Lord Frederick North's government fell in March 1782. This was quickly followed by governments headed by the Marquess of Rockingham, Earl of Shelburne and the Duke of Portland. When the House of Commons passed the India Bill, the king warned members of the House of Lords that he would regard any one who voted for the bill as his enemy. Unwilling to upset the king, the Lords rejected the bill by 95 votes to 76. The Duke of Portland's administration resigned and on 19th December, 1783, the king invited his former critic, William Pitt, to form a new government. George now used all the powers at his disposal to help Pitt maintain control of Parliament. This made the king unpopular with the Whigs, a group who favoured a reduction in the powers of the monarchy. George III was also having trouble with his high-spirited eldest son, George, Prince of Wales. On 5th November, 1788, the king attacked the Prince of Wales and tried to smash his head against the wall. One observer claimed that foam was coming from the king's mouth and his eyes were so bloodshot that they looked like currant jelly. George was placed in a strait-jacket and eventually his doctors had a special iron chair made to restrain their patient. Other treatment included putting poultices of Spanish Fly and mustard all over the King's body; the idea was that the painful blisters which resulted would draw out the "evil humours". By April 1789, George's doctors came to the conclusion that he had recovered from his madness and he was allowed to carry on with his royal duties. 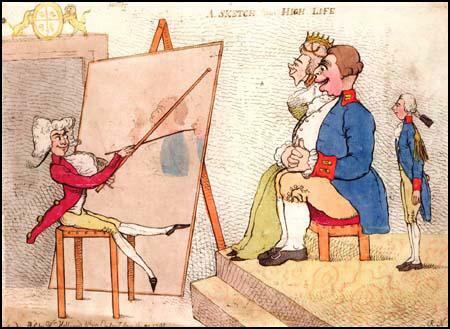 Richard Newtonproduced a print in 1791 showing him painting the king and queen. In 1793 war broke out with France. Soon afterwards William Pitt brought in a bill suspending Habeas Corpus. Although denounced by Charles Fox and his supporters, the bill was passed by the House of Commons in twenty-four hours. Those advocating parliamentary reform were arrested and charged with sedition. Tom Paine managed to escape but others such as Thomas Hardy, John Thellwall and Thomas Muir were imprisoned. To pay for the war Pitt was forced to increase taxation and had to raise a loan of £18 million. This problem was made worse by a series of bad harvests. When going to open parliament in October 1795, George III was greeted with cries of 'Bread', 'Peace' and 'no Pitt'. Missiles were also thrown and so Pitt immediately decided to pass a new Sedition Bill that redefined the law of treason. 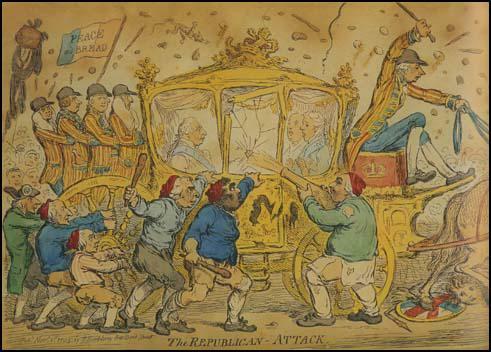 James Gillray, drew this picture of George III's coach being attacked in 1795. George III was now a deeply unpopular king and there were several attempts to assassinate him. The nearest anyone came to killing him was on 15th May 1800, when a man fired two pistol shots at him while in the royal box of the Drury Lane Theatre. Although the bullets only just missed it was said that the king continued to watch the play and was so unconcerned by these events that he fell asleep during the interval. In 1801 the king came into conflict with William Pitt over his policy of Catholic Emancipation. Pitt resigned and was replaced by Henry Addington. However, Pitt returned in 1804 and held office until his death in 1806. George continued to suffer ill-health and had further mental breakdowns in 1801 and 1804. In 1810 George III's insanity became permanent. George, Prince of Wales, was appointed regent, and carried out his father's official royal duties. 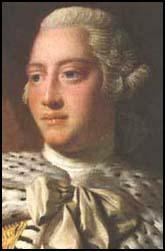 George III died on 29th January 1820.